Captain-commander of the Russian fleet, round-the-world seafarer, explorer of the North Pacific Ocean and Northeast Asia. Billings was born in the town of Tonham-Green near London in the family of a fisherman, from an early age sailed on ships. In 1776–1780 He participated in the third round-the-world expedition of J. Cook as an assistant astronomer. In 1783, he was accepted into the Russian service as a midshipman, and in 1785, as a lieutenant commander, he was appointed head of the Northeast Secret Geographical and Astronomical Expedition, whose main task was to study Kolyma, Chukotka, the islands and the seas north of East Siberia, and the mapping of the northwest coast of America. The expedition was asked, in addition to this, to check the rumors about the existence of land north of the Siberian shores and establish its size. In 1786, the expedition arrived in Okhotsk, and from there to Verkhnekolymsk, where it laid two vessels. In May 1787, the Pallas and Yasashna ships were launched. The first of them was headed by Billings himself, and the second by his assistant, GA. Sarychev. At the end of June, the ships reached the mouth of the Kolyma and three times tried to go east to Chukotka, but each time they stopped near Cape Baranov Kamen - heavy ice blocked the way further.The expedition stopped these attempts and returned by land to Okhotsk. The Admiralty Board was extremely dissatisfied with the results of the voyage, especially the fact that no “intelligence of the mother land” was carried out. In the autumn of 1789, on the ship "Glory to Russia", Billings accidentally opened Fr. Jonah. In 1790, together with G.A. 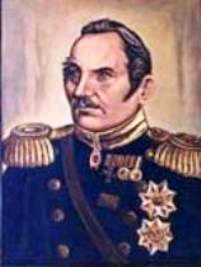 Sarychev sailed from Petropavlovsk to the shores of Russian America. Subsequently, in the winter of 1791-1792. Billings, as instructed by Catherine II, investigated the Chukotka Peninsula, making an unprecedented transition from reindeer in the Bering Strait to Nizhnekolymsk on deer in the winter. From there he arrived in Irkutsk in 1793, and in 1794 he returned to Petersburg. 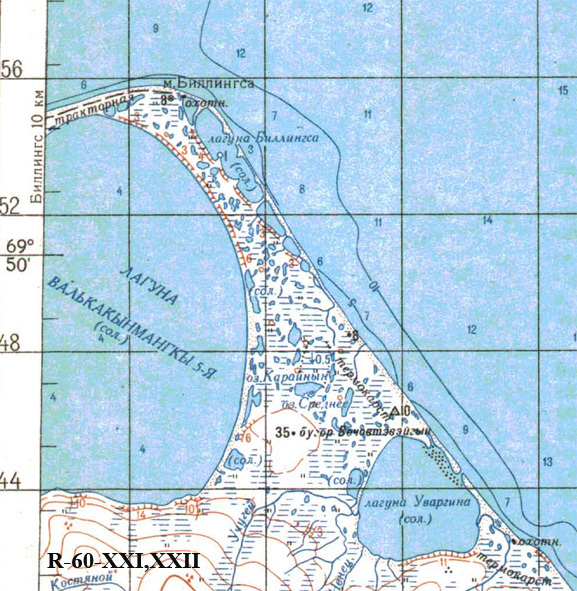 As a result of the Billings expedition, the exact outlines of the shores of the Chukotka Peninsula were mapped and the first reliable map of its internal regions was drawn up. In 1795, Billings was transferred to the Black Sea Fleet, where he participated in the inventory of the northern shores of the Black Sea from the Kerch Strait to the mouth of the Dniester. According to the results of these works, he compiled and published an atlas of the Black Sea. In 1799, the rank of captain-commander Billings resigned. The circumstances of the last years of life and the place of death are unknown. 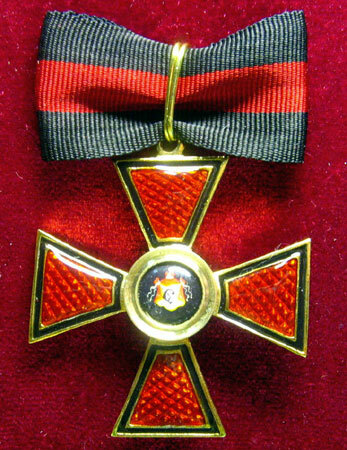 Merit Billings awarded the Order of St. Vladimir of 3 degrees . Cape on the coast of Kolyma, the southwestern entrance cape of the Str. Longa Described and named expedition F.P. Wrangel in 1823. Laguna in the Long Strait. The name is given by cape.